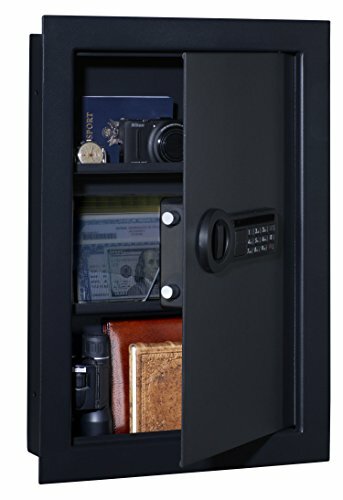 Knowledge is power in a huge amount of industries, and knowing about the world of guns and gun safes is very important. Any aspect of life that deals with firearms and the risk involved in keeping a firearm should not be something you take lightly. This can boil down to the protection of your family, both in terms of having a gun and in terms of ensuring it is put away in a safe and not accessible by anyone except from you. 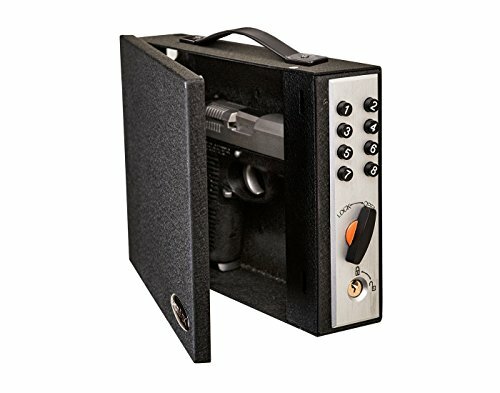 My information section is designed to provide guides not only on buying your gun safe in the first instance, but on what to do with it once you have purchased it. The articles I have provided can talk you through everything from whether you need a safe, what features you should be on the lookout for and even specific information on things like the thickness of the steel and the impact this has on your safe. 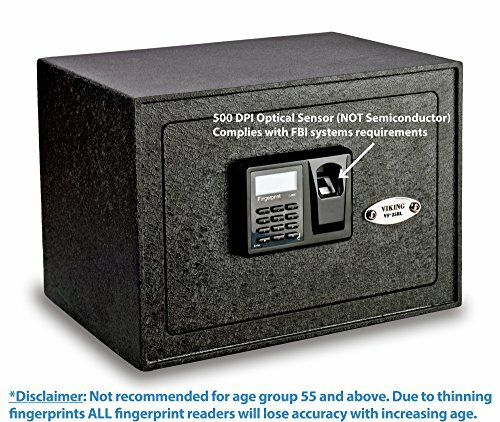 5 Where to Place a Gun Safe? Steel thickness is a key factor to think about when you want to find out the quality of the gun safe that you are considering. Once you understand the thickness of the steel and its quality, you can easily determine its potential strength. 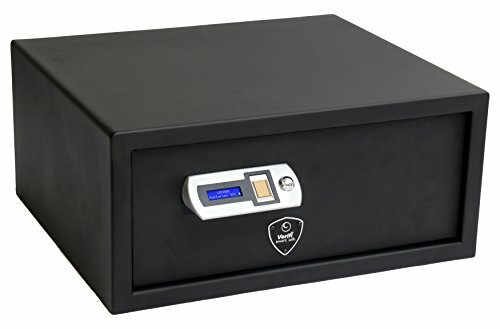 It goes without saying that it will be significantly harder for a thief to pry open a gun safe that features thick quality steel than a thinner, dry-wall gun safe. Although manufacturers use all kinds of the methods to create thick gun safes, you have to be on the look-out for the quality of the steel because if the construction features a quality steel, the gun safe will offer greater protection. Additionally, you need to understand the gauge number. In short, the lower the gauge number, the thicker the steel. Therefore, high gauge number means thinner steel construction. The gauge number also holds in hand with price as thicker construction is significantly more expensive than a low gauge steel unit. It is important that you understand how to install a gun safe properly because you need to make sure that children in your household cannot reach the safe. Moreover, it is important to mount it in a place where burglars may find it hard to spot. However, you need to know where and how to install a gun safe in your house to maximize the protection of your objects stored inside the gun safe. Most gun safes on the market come with pre-drilled anchor holes to make the installation process easier, but in some cases, it may become a daunting task to mount a unit, if you do not understand how to install a gun safe. 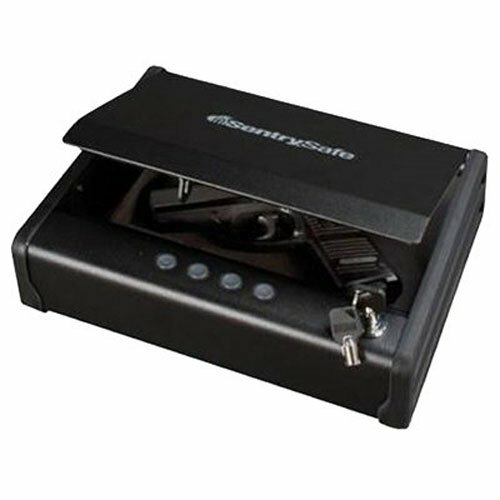 There are many types of gun safes on the market that range in sizes and come with different price tags. Needless to say, if you are looking for a gun safe to store under your bed, it makes no sense to purchase an In-wall unit. Same applies to car gun safes; you will be wasting your time and money if you opted for a large gun safe to store under the seat in your car. 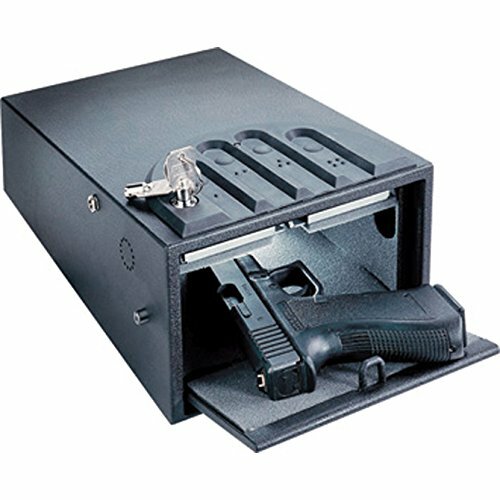 Keeping that in mind, it is crucial that you understand all the different types of gun safes that are readily available on the market today. 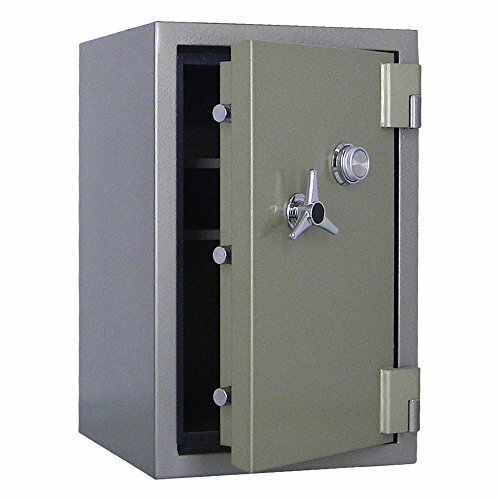 Therefore, once you have an idea of the type of safe that fits your needs, you can start analyzing the quality of the construction and what security features the safe should include. It is also important to check the warranty from the manufacturer to make an informed buying decision on a particular type of gun safe that matches your demands. You should pay close attention to how your desired gun safe is fire regulated because even though the manufacturer promises that the safe is fireproof, it is not always the case. The reason is that many companies are not required to hire a third-party official tester to test the safe against fire exposure. Therefore, manufacturers are free to make up their ratings, based on their own regulations. 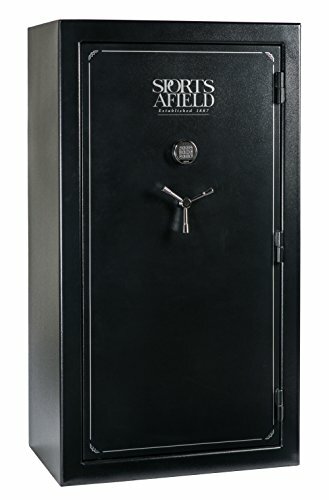 In poorly built gun safes, the thickness of the steel is thinner than normal, and the rest is filled up with cheap drywall, and the safe is stamped as fireproof. However, most of the well-established companies on the market have their products tested by verified laboratories that work by strict laws and state regulations. This means that you should always check beforehand how the manufacturer of your desired gun safe tested the safe for fire. 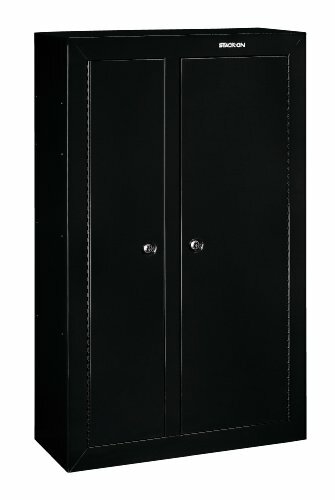 Where to Place a Gun Safe? Needless to say, you need to find a proper place to mount your gun safe. It is important that you decide a place that allows you quick access to the safe in any situation, regardless of the time of the day. There are three places that most gun owners place their safe in, the bedroom, basement or the home office. Additionally, many gun owners need a portable and compact safe that you can mount inside your car. 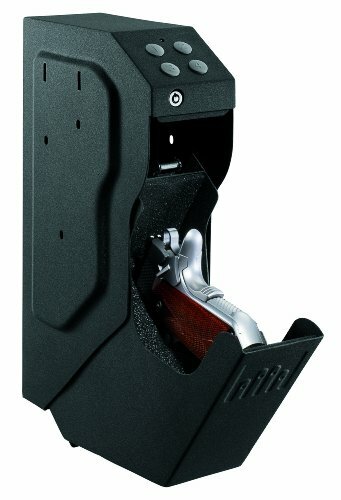 However, these car gun safes are only designed to be used in your car and do not offer the same level of protection as gun safes built for households. The same goes for home gun safes, you should never intend to install a home gun safe inside your car. Where to put your gun safe is a matter of personal preference. 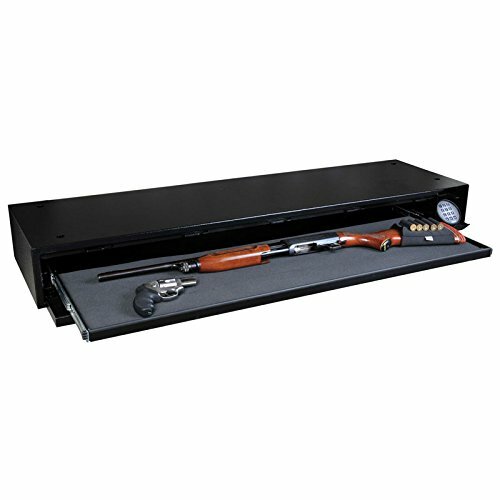 It might suit your neighbor to have a gun safe in the basement, while it will serve you no good if you are looking for an under-the-bed gun safe to store in your bedroom. That said, think about your needs and try to figure out for what purpose you need a gun safe before you find a place for it. If you want to get the most out of your stuff and maximize its durability, you need to maintain it properly. That goes for anything that you buy, and the same applies for your weapons and gun safes. If you maintain your gun safe regularly, the gun safe will function flawlessly, and you can improve its durability. Additionally, you need to maintain the objects inside the safe as well because a poorly maintained weapon is a deadly weapon. What if you are reaching for your firearm during the night with your eyes half closed and you gently touch the gun, and it suddenly fires off accidentally? You need to ensure that your items inside are always in top conditions. Maintaining your gun safe is extremely easy and basically involves dusting it every now and then. Moreover, you can lubricate the locking bolts, hinges and change the battery when they are half to ensure reliable access whenever you need. I’ve mentioned it a lot on the site, but the truth of the matter is that any safe you are purchasing deals with keeping you and your belongings safe. It is more than worth spending time doing some research and ensuring that you have made the correct choice in terms of your safe, and that you know how to get the most out of it. My information guides are provided by a team of experts and experienced gun owners who are dedicated to ensuring that the knowledge is shared to make sure that new gun owners are both responsible and well informed. 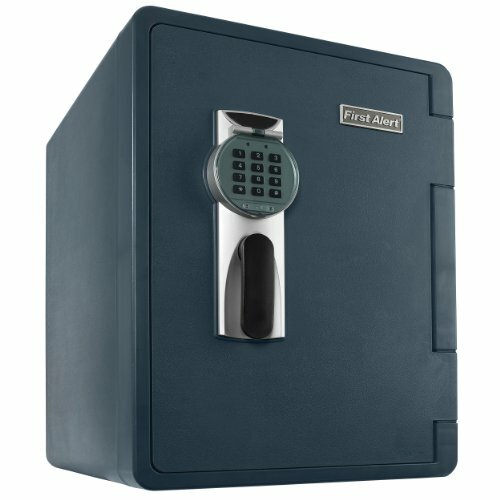 Helping you to purchase, install and maintain your safe in the best way possible.